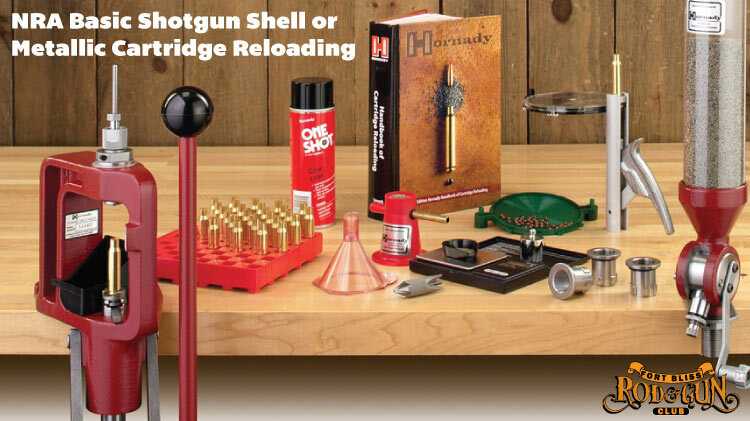 Date: Mar 3 2019, 8 a.m. - 5 p.m.
NRA Basic Metallic Cartridge Reloading teaches beginning re-loaders the basic knowledge, skills, & attitude necessary to safely reload metallic cartridge. For more information, call 915-861-4789. $125 per person with a $25 non-refundable deposit.